Spring Summer is in the air and Summer Shorts are the focus of Apacheonline’s latest blog. Also, being as generous as ever, we are offering you all a fantastic 10% Voucher Code for All New Short Styles at Apacheonline. 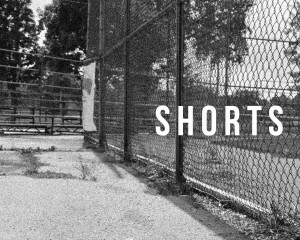 Simply enter SHORTS10 at the Checkout of Apacheonline.co.uk to receive 10% Off All New Short Styles. With, apparently, the hottest ever Summer on our hands this year, you will need lots of short styles for different occasions. Lyle and Scott have it all wrapped up with their offering of Spring Summer Shorts. 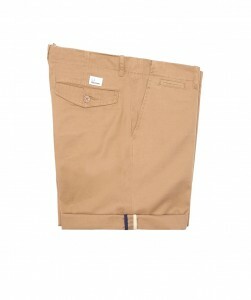 These are the Lyle and Scott SH200CL Basic Chino Short and are a must have for every summer wardrobe. Available in 3 colours, French Navy, Dark Sand and New Navy, there is a colour to suit every taste. Team these with a simple Crew Neck Logo T Shirt from Lyle and Scott and a new pair of Toms, and you have the perfect summer’s day outfit. So if its for the lads holiday to Ibiza this year, or just to enjoy our great British weather, you will definitely need some Swim Shorts. The guys at Farah have this covered with some amazing new styles. Firstly we have the Rufus Concrete Print Swim Short from the lads at Farah. With inside netting and pocket and bold striking print, these are practical yet on trend. Available in the pictured Seafoam and also Clematis Blue, these will definitely get you noticed. 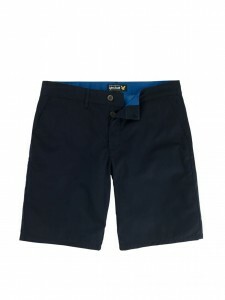 Secondly we have the Farah Monroe Plain Swim Short. Also available in 2 colours, True Navy and Magenta, you wont know which to choose. Our last offering is from fantastic heritage brand Fred Perry and is an easy to wear, simple style that everyone will love. 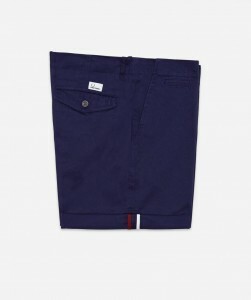 We now have the Fred Perry S6200 Chino Short and its a Spring Summer Classic. Crafted in a soft twill cotton fabric and featuring twin tipped contrast turn up detailing, these are classic yet contemporary. Available in Warm Stone and Navy, why not treat yourself to both and save a great 10% with our Shorts Discount Code SHORTS10. All you need to do, to save a fantastic 10% Off All New Season Short Styles is, enter SHORTS10 at the checkout of Apacheonline.co.uk.